Lake Turkana’s clear waters emerge like a glassy screen, breaking through the rugged rocks and dry earth that precede its approach. This most northerly of Kenya’s lakes, on the border with Ethiopia, formerly known as Lake Rudolf and referred to as the ‘Jade Sea’, brings life to its dry surroundings like an oasis in the desert. But Lake Turkana, slightly salty and alkaline and abounding in 40 fish species, faces a severe threat from across the border in Ethiopia. The row with Uganda over the tiny Migingo Island in Lake Victoria is nothing compared to the environmental catastrophe staring at Lake Turkana. Ethiopia is midway through construction of a dam upstream on River Omo, which is Lake Turkana’s main tributary, giving it 80 per cent of its water. The other rivers, Turkwel and Kerio are seasonal and can barely sustain the lake’s water level. 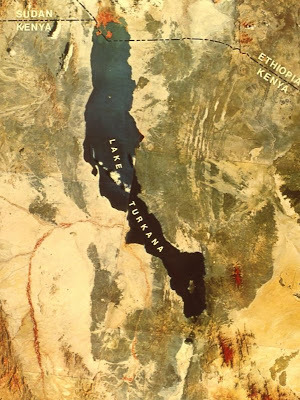 Local and international impact reports have indicated the Turkana could start drying up once the huge dam, owned by Ethiopian Electric Power Corporation (EEPCO), cuts off the river to fill up a capacity of 11 billion cubic meters of water. The giant project poses a greater danger to 300,000 people around the lake in Turkana Central and Turkana North. Its aquatic life, including the Nile perch, which they largely depend on for food and cash, could die out as salinity increases with the lowering of water level. Similarly, a lake-dependent forest, one of the last pristine dry land forests in Africa, would also be in grave danger. The tragedy looks real as the Gilgel Gibe III hydroelectric dam project is being built with the knowledge of the Kenya Government, which hopes to benefit from surplus power projected to be generated. Irked by government indifference to the looming danger, residents, led by an NGO, Friends of Lake Turkana (FLT), recently demonstrated at Kalokol in Turkana North to drive their point home. Ms Ikal Angelei, FLT chairperson, explained the realities of the endangered lake, saying it would never be the same again once the dam closes off its main water source. "Nobody can touch the Nile from Alexandria (Egypt) down to its source at Jinja (Uganda). Egypt can even go to war if the river is interrupted. Why is our Government allowing this violation to our right," Angelei said. Turkana politicians led by Mr Christopher Nakuleu, an East African Legislative Assembly MP, said in a joint statement that the Turkana, Rendile, Dassanch, Elmolo and Gabbra, who depend on the lake for food and water, would be affected. "It is recognised that any interference with the Lake Turkana ecosystem could be catastrophic, but no effort has been made to avert disaster," says Pius Ewoton, the Executive Director of Arid Lands Integrated Programme. He says since the start of the dam project on River Omo in 2006, the water levels have dropped by eight metres. Mr Ewoton says Kenyan and Ethiopia’s governments approved the programme in total disregard of Environmental Impact Assessment (EIA) reports. Since August 2006, Kenya has been negotiating with Ethiopia for a power supply deal. Ethiopia has a total power demand of about 400 MW against a production capacity of more than 1,875 MW. Already, a memorandum of understanding, which also involves KenGen, has been signed with the Ethiopian Electric Power Corporation. While the African Development Bank has provided Sh68 million for the project’s feasibility study, EEPCO needs Sh51 billion to export power to Kenya. 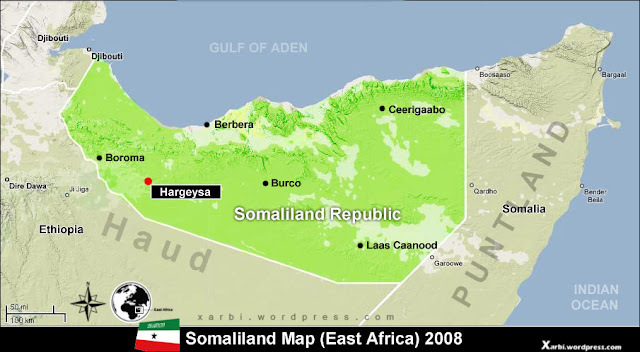 Djibouti and Sudan will also benefit. Project designing is under way. It will take another three years to complete interconnection. The Turkana leaders said while a power purchase agreement outlining the terms of electricity sale was reportedly signed between Ethiopia and Kenya in 2006, there are no bilateral agreements on the use of the Omo-Turkana waterway and the dam’s downstream effects to Kenya. The leaders claim that an EIA submitted to donors for funding of the damming project was ‘incredibly sloppy’. "Shockingly, it does not even mention that RiverOmo supplies 80 per cent of Lake Turkana waters. It suggests that the dam will regulate the natural flooding cycle of the Omo, eliminating the seasonal floods critical to downstream farmers," said Nakuleu. The leaders are now urging President Kibaki to intervene and save the Turkana ecosystem and way of life. During a visit to the area two weeks ago, Fisheries Minister Paul Otuoma said the Government was holding talks with Ethiopia on the matter. He said a Kenyan delegation had visited the neighbouring country and held negotiations. The Ethiopian authorities, quoted by the BBC, maintain they are building the Gilgel Gibe III hydroelectricity dam — the second largest in sub-Saharan Africa — to solve a regional energy crisis.